Being born in 1946, by age 5 general aviation was skyrocketing in affordability and popularity. My Dad flew an Aeronca Champion till he shot a wing tip off hunting coyotes in Eastern Washington. General aviation was eliminated from our family!! 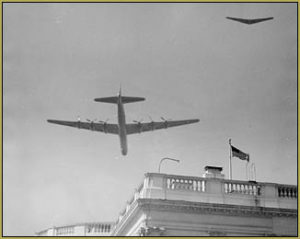 However, we lived under the flight path for Fairchild A.F. Base. Imagine, B-36s and flying wings passing just above, so close a 10 year old thought them almost touchable. Yep, didn’t know it then but I was aviation “hooked”. The concept of flying cars was just hitting Popular Mechanics Magazine as potentially possible. Full scale aviation has come a long way, and, thankfully for me, so has Model Aviation. As a kid I built a lot of Revells, but preferred cars and boats to aircraft. 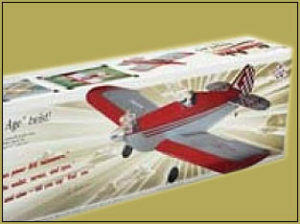 At 14 I built my first balsa airplane kit. Some kind of high wing U Control with a Cox .049. Safety features? Yep, a spring to spin the prop and protect my naive fingers. I didn’t matter, in my enthusiasm, and having advice from only myself, it still got the fingers!! Got my home built baby completed. Retrospectively, working with silk and dope covering for a 14 year old with no mentor is probably a less than good idea. Regardless, the die cut kit became a completed model. I eventually got her started 3 times and flew her twice. My beloved airplane’s killing crash came in the form of an angry sibling who thought smashing the model was a good idea. Enough of this story! After sailing for years (boats) someone brought an RC float plane to Hat Island. He launched that Cessna looking plane (might have been a Tower Hobbies Trainer because I was model ignorant), flew it, taxied to shore and my latent “aviation hook” began to surface. 2004, 58 years old and time to try again. I got a Great Planes SLOW POKE kit. Great trainer Model? NO! But she got built. Bought a radio and still….never flew. All the hours, Monokote, not silk and dope covering, but still no mentor. I had absolute confidence I WOULD crash my Slow Poke. A large helicopter model was sitting in the shop of one of our customers. We got to talking model aviation, not sandblasting. Turned out he owned a small local AMA fly site. He said, “You have a plane and transmitter but you don’t fly? What are you a ——ing coward? Come on out we’ll get you up and flying.” Also important, I got the contract for their sandblasting needs. But alas, the Slow Poke was not my answer. 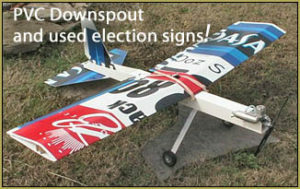 My trainer was to be a Spad built of PVC downspout and used cora-plastic election signs. Great idea too because there was almost no buddy boxing/copilot opportunity at that club/field. After crashing once or twice every weekend for a month I began to succeed. Gratefully, each spad cost less then $10.00 but even so, if not for morale support I would surely have given up. 2005, First visit to Kingman went to KAA fly site. Ron Duke, Duke Crow, Frank Prattini and others welcomed me, checked AMA Card and cautiously watched me set up, take off, and crash my Spad! Embarrassed, I returned to the hotel, washed the engine in the sink, bought some duct tape and was ready to face the next morning. Upon return I was welcomed much more enthusiastically. Turns out, returning to fly field was one of the wiser decisions of my (at the time) 60+ years. My second flight was competent, I was proud, and I met people who became and continue to be, really terrific flying friends. 2007, Relocating here with lots more confidence and numerous and knowledgeable support, I flew with abandon. Yes, abandon is the correct word. Crashed a few trying U control, pattern, 3D, sailplanes, warbird racing, turbine jets, and now? electrics of many varieties. I am now an “almost” skilled pilot with aspirations of continuing to improve. Reality, I am 72. If I can learn to truly master each and every model I fly, great. However, if I’ve peaked in diversity development then my focus will be perfection within my capacity. I now strive for my personal level of self satisfaction, a goal to pursue as long as I remain in the sport. Unless you are a collector, it’s not the number of planes you own, it is about the quality of flight you can get from the plane(s) you fly! There is more story to tell if anyone is interested but since the time at the airfield is 30% flying and 70% talking, learning, and enjoying fellow enthusiasts, I’ll save the rest of my woes and successes to share in person. Some of my flying guffaws were purely, plain proof of ignorance, but retrospectively, still sometimes humorous, and, always great learning experiences. Unfortunately, the RC skies in Kingman encountered a serious wind shear. The resilience of people in the sport is such that the Golden Eagles hatched(?). And now? the Golden Eagles are Kingman’s largest and fastest growing club, and home for me. All year flying and visiting: just what this old man enjoys. I’ll splurge a single brag. I believe I am the Club’s most skilled Apprentice pilot (competitive competitions welcome). Even so, I was not good enough to fly inverted – close to the deck. Yep, I put her in! Gotta love that foam. A little boiling water and some epoxy and she’s a little less pretty, but once again, she is flying to train both me and student pilots. See you at the field soon. The founders of the Golden Eagles RC Club carefully crafted the Bylaws to reflect that philosophy. What is this club about? Fun and camaraderie as we fly. Developing/mentoring our members into future office-holders within our club so that our focus and strong management endures. Developing our physical infrastructure (the field) to meet and exceed our needs as our club membership grows. Taking-on a presence in our Kingman community to build social awareness, acceptance and community support for our organization. How do I become a part of the Club? The easiest way to see what we are about is to come out to our field! See the map on our ABOUT US page. Our field is open to our members 24/7/365 and, if the weather is cooperating, you may see flyers out there at any time of the day... maybe, even, after dark! See our CONTACT US page for our contact information and see that you can arrange for a Free Demo Flight as a way to get you out to the field and acquainted with our members. This hobby is really interesting in how it can bring people together. We have members from all ages, walks of life, and social strata... but we are suddenly "one" when it comes to sharing and learning about RC aircraft. Do you want to know about a 4000mah battery with a 25C VS a 65C rating? Someone out here can tell you all about it. You will share the adrenaline of the trainee pilot as he attempts to make his first landing. You will feel the thrill as you yell along with your team at the Warbird Race. You will perk-up an ear when you hear a couple of pilots discussing the proper propeller to run on that OS 55ax! ... you cannot help it; it's a passion!